Liverpool manager Jurgen Klopp is reportedly a huge fan of Real Madrid playmaker Isco and the club could go all out for a transfer this summer. This is according to the latest from Spanish outlet Diario Gol, who claim the Reds are the latest club to come in with an offer for Isco, also a target for Manchester City. 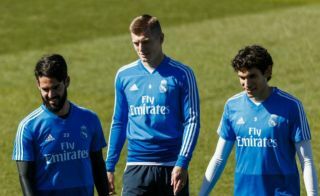 It seems likely the Spain international could make his way out of the Bernabeu this summer after a difficult season in which he’s played a lot less than previously. Don Balon have reported Isco could be part of a major Real Madrid clear out at the end of the season, stating he’d likely cost around €100million. And Diario Gol have claimed Liverpool would be ready to go all out for his signature as Klopp is described as being ‘in love’ with the 26-year-old. It remains to be seen if LFC can realistically afford that kind of asking price, but there seems little doubt they’d benefit from a bit more quality in attack. Klopp lacks depth behind his first choice attacking players, with Xherdan Shaqiri not making much of an impact since moving to Anfield last summer. Meanwhile, Mohamed Salah and Roberto Firmino have gone a little off the boil, at least in comparison to the high standards they set themselves last season. Isco to Liverpool transfer on the cards this summer? Despite Isco’s troubles, he’s long looked a skilful and creative talent with plenty of potential to be a success in the right kind of team. Klopp’s Liverpool seem ideal for his style of play and he’d surely be guaranteed more first-team opportunities there than he’s had at Madrid this term.